Air Marshal William Avery "Billy" Bishop VC, CB, DSO & Bar, MC, DFC, ED (8 February 1894 - 11 September 1956) was a Canadian First World War flying ace, officially credited with 72 victories, making him the top Canadian ace, and according to some sources, the top ace of the British Empire. Bishop was born in Owen Sound, Ontario. He was the second of three children born to William A. and Margaret Bishop. His father, a lawyer and graduate of Osgoode Hall Law School in Toronto, was the Registrar of Grey County. Attending Owen Sound Collegiate, Bishop earned the reputation of a fighter, defending himself and others easily against bullies. He avoided team sports, preferring solitary pursuits such as swimming, horse riding, and shooting. Bishop was less successful at his studies; he would abandon any subject he could not easily master, and was often absent from class. At 15 Bishop had his first experience with aviation; he built an airplane out of cardboard, wood crates and string, and "flew" off the roof of his three-story house. He was dug, unharmed, out of the wreckage by his sister. 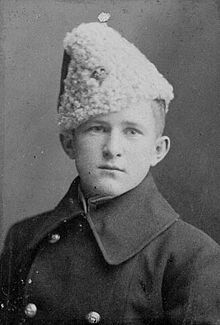 In 1911, at the age of 17, Billy Bishop entered the Royal Military College of Canada (RMC) in Kingston, Ontario, where his brother Worth had graduated from in 1903. Bishop failed his first year at RMC, having been caught cheating. When the First World War broke out in 1914, Bishop left RMC and joined the Mississauga Horse cavalry regiment. He was commissioned as an officer but was ill with pneumonia when the regiment was sent overseas. After recovering, he was transferred to the 8th Canadian Mounted Rifles, a mounted infantry unit, then stationed in London, Ontario. Bishop showed a natural ability with a gun, and excelled on the firing range. His seemingly "super-human" eyesight allowed him to put bullets in a target placed so far away others saw only a dot. They left Canada for England on 6 June 1915 on board the requisitioned battleship Caledonia. On 21 June, off the coast of Ireland, the ships convoy came under attack by U-boats. Two ships were sunk and 300 Canadians died, but Bishop's ship remained unharmed, arriving in Plymouth Harbour on 23 June. Bishop quickly became frustrated with the mud of the trenches and the lack of action. In July 1915, after watching an RFC aircraft return from a mission, Bishop said "...it's clean up there! I'll bet you don't get any mud or horseshit on you up there. If you die, at least it would be a clean death." He transferred to the Royal Flying Corps and, as there were no spots available for pilots in the flight school, he chose to be an observer. On 1 September, he reported to 21 (Training) Squadron at Netheravon for elementary air instruction. 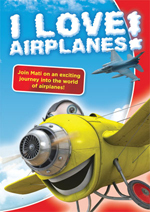 The first aircraft he trained in was the Avro 504, flown by Roger Neville. Bishop was adept at taking aerial photographs, and was soon in charge of training other observers with the camera. The squadron was ordered to France in January 1916, it arrived at Boisdinghem airfield, near Saint-Omer equipped with R.E.7 reconnaissance aircraft. Bishop' first combat mission was as an aerial spotter for British artillery. At first, the aircraft would not get airborne until they had offloaded their bombload and machine guns. Bishop and pilot Neville flew over German lines near Boisdinghem and when the German howitzer was found, they relayed co-ordinates to the British, who then bombarded and destroyed the target. In the following months, Bishop flew on reconnaissance and bombing flights, but never fired his machine guns on an enemy aircraft. During one takeoff in April 1916, Bishop's aircraft experienced an engine failure, and he badly injured his knee. The injury was aggravated while on leave in London in May 1916, and Bishop was admitted to the hospital in Bryanston Square, London. While there he met and befriended socialite Lady St. Helier, who was a friend to both Winston Churchill and Secretary for Air Lord Hugh Cecil. When his father suffered a small stroke, St. Helier arranged for Bishop to recuperate in Canada, thereby missing the Battle of the Somme. Bishop returned to England in September 1916, and, with the influence of St. Helier, was accepted for training as a pilot at the Central Flying School at Upavon on Salisbury Plain. His first solo flight was in a Maurice Farman "Shorthorn". In November 1916 after receiving his wings Bishop was attached to No. 37 Squadron RFC at Sutton's Farm, Essex flying the BE.2c. Bishop disliked the flying at night over London, searching for German airships, and he soon requested a transfer to France. On 17 March 1917, Bishop arrived at 60 Squadron at Filescamp Farm near Arras, where he flew the Nieuport 17 fighter. At that time, the average life expectancy of a new pilot in that sector was 11 days, and German aces were shooting down British aircraft 5 to 1. Bishop's first patrol on 22 March was less than successful. He had trouble controlling his run-down aircraft, was nearly shot down by anti-aircraft fire, and became separated from his group. On 24 March, after crash landing his aircraft during a practice flight in front of General John Higgins, Bishop was ordered to return to flight school at Upavon. But before he could leave, Major Alan Scott, new commander of 60 Squadron, convinced Higgins to let him stay until a replacement arrived. The next day Bishop claimed his first victory when his was one of four Nieuports that engaged three Albatros D.III Scouts near St Leger. Bishop shot down and mortally wounded a Leutnant Theiller, (although Shores (1991) has 12-kill ace Theiller as being killed vs 70 Squadron Sopwiths on 24 March; therefore this claim does not match with known losses) but his engine failed in the process. He landed in No Man's Land 300 yards from the German front line. After running to the Allied trenches, Bishop spent the night on the ground in a rainstorm. There Bishop wrote a letter home, starting:"I am writing this from a dugout 300 yards from our front line, after the most exciting adventure of my life." General Higgins personally congratulated Bishop, and rescinded his order to return to flight school. On 30 March 1917 Bishop was named a flight commander. The next day he scored his second victory. Bishop, in addition to the usual patrols with his squadron comrades, soon flew many unofficial "lone-wolf" missions deep into enemy territory, with the blessing of Major Scott. 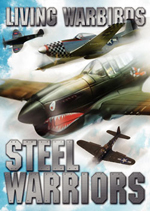 As a result, his total of enemy aircraft shot down increased rapidly. On 8 April he scored his fifth victory and became an ace. To celebrate, Bishop's mechanic painted the aircraft's nose blue, the mark of an ace. 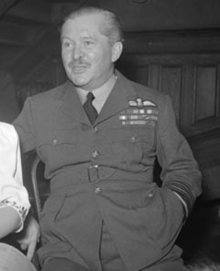 Former 60 Squadron member Captain Albert Ball, at that time the Empire's highest scoring ace, had had a red spinner fitted. Bishop's no-hold-barred style of flying always had him "at the front of the pack," leading his pilots into battle over hostile territory. Bishop soon realized that this would eventually see him shot down; after one patrol, a mechanic counted 210 bullet holes in his aircraft. His new method of using the surprise attack proved successful; he claimed 12 aircraft in April alone, winning the Military Cross and a promotion to Captain for his participation at the Battle of Vimy Ridge. The successes of Bishop and his blue-nosed aircraft were noticed on the German side, and they began referring to him as "Hell's Handmaiden". Ernst Udet called him "the greatest English scouting ace" and one Jasta had a bounty on his head. On 30 April, Bishop survived an encounter with Jasta 11 and Manfred von Richthofen, the Red Baron. In May, Bishop won the Distinguished Service Order for shooting down two aircraft while being attacked by four others. On 2 June 1917, Bishop flew a solo mission behind enemy lines to attack a German-held aerodrome, where he claimed that he shot down three aircraft that were taking off to attack him and destroyed several more on the ground. For this feat, he was awarded the Victoria Cross (VC), although it has been suggested that he may have embellished his success. His VC was one of two awarded in violation of the warrant requiring witnesses (the other being the Unknown Soldier), and since the German records have been lost and the archived papers relating to the VC were lost as well, there is no way of confirming whether there were any witnesses. It was however common practice at this time among the RFC and RNAS squadrons to submit kills claimed without requiring confirmation or verification from other witnesses. In July, 60 Squadron received new Royal Aircraft Factory S.E.5s, a faster more powerful aircraft with better pilot visibility. In August 1917 Bishop passed the late Albert Ball in victories to become (temporarily) the highest scoring ace in the RFC. Soon after he was informed he had won the Victoria Cross for his June attack on the German aerodrome. Bishop returned home to Canada in 1917, where he was acclaimed a hero and helped boost the morale of the Canadian public, who were growing tired of the war. On 17 October 1917, at Timothy Eaton Memorial Church in Toronto he married his longtime fianc�e Margaret Burden, a granddaughter of Timothy Eaton and sister of ace Henry John Burden. After the wedding he was assigned to the British War Mission in Washington DC to help the Americans build an air force. While stationed there he wrote his autobiography entitled Winged Warfare. Upon his return to England in April 1918, Bishop was promoted to Major and given command of No. 85 Squadron, the "Flying Foxes". This was a newly formed squadron and Bishop was given the freedom to choose many of the pilots. The squadron was equipped with SE5a scouts and left for Petit Synthe, France on 22 May 1918. On 27 May, after familiarizing himself with the area and the opposition, Bishop took a solo flight to the Front. He downed a German observation plane in his first combat since August 1917, and followed with two more the next day. From 30 May to 1 June Bishop downed 6 more aircraft, including German ace Paul Billik, bringing his score to 59 and reclaiming his top scoring ace title from James McCudden, who had claimed it while Bishop was in Canada, and was now the leading Allied ace. The Canadian government was becoming increasingly worried about the effect on morale if Bishop were to be killed, so on 18 June he was ordered to return to England to help organize the new Canadian Flying Corps. Bishop was not pleased with the order coming so soon after his return to France. He wrote to his wife: "I've never been so furious in my life." The order specified that he was to leave France by noon on 19 June. On that morning, Bishop decided to fly one last solo patrol. In just 15 minutes of combat he added another five victories to his total. He claimed to have downed two Pfalz D.IIIa scouts, caused another two to collide with each other, and shot down a German reconnaissance aircraft. On 5 August, Bishop was promoted to Lieutenant-Colonel and was given the post of "Officer Commanding-designate of the Canadian Air Force Section of the General Staff, Headquarters Overseas Military Forces of Canada." He was onboard a ship returning from a reporting visit to Canada when news of the armistice arrived. Bishop was discharged from the Canadian Expeditionary Force on 31 December and returned to Canada. By the end of the war, he had claimed some 72 air victories, including two balloons, 52 and two shared "destroyed" with 16 "out of control". After the war, Bishop established a short-lived passenger air service with fellow ace William Barker, but after legal and financial problems, and a serious crash, the partnership and company was dissolved. In 1921, Bishop and his family moved to Britain, where he was quite successful. In 1928, he was the guest of honour at a gathering of German air aces in Berlin and was made an Honorary Member of the Association. However, the family's wealth was wiped out in the crash of 1929 and they had to move back to Canada. There Bishop was offered a vice-presidency of McColl Frontenac Oil Company. In 1938, Bishop was made an Honorary Air Marshal of the Royal Canadian Air Force (RCAF) and placed in charge of recruitment. He was so successful in this role that they had to turn many applicants away. He created a system for training pilots across Canada and became instrumental in setting up and promoting the British Commonwealth Air Training Plan, which trained over 167,000 airmen in Canada during the Second World War. In 1942, he appeared as himself in the film Captains of the Clouds, a Hollywood tribute to the RCAF. By 1944 the stress of the war had taken a serious toll on Bishop's health, and he resigned his post in the RCAF to return to private enterprise in Montreal, before retiring in 1952. His son later commented that he looked 70 years old on his 50th birthday in 1944. However Bishop remained active in the aviation world, predicting the phenomenal growth of commercial aviation postwar. His efforts to bring some organization to the nascent field led to the formation of the International Civil Aviation Organization (ICAO) in Montreal. He wrote a second book at this time, Winged Peace, advocating international control of global air power. With the outbreak of the Korean War, Bishop again offered to return to his recruitment role, but he was in poor health and was politely refused by the RCAF. He died in his sleep on 11 September 1956 while wintering in Palm Beach, Florida. He is buried in Greenwood Cemetery in Owen Sound, Ontario. 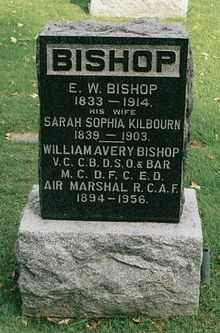 Bishop's life was depicted in the famous Canadian play, Billy Bishop Goes to War. It also led indirectly to a CBC Television documentary called The Kid Who Couldn't Miss, produced by the National Film Board of Canada. The show, a "docudrama" combining known history for credibility with fictitious "mock interviews" with actors portraying Bishop and others, suggested that Bishop faked his famous attack on the German aerodrome. In one particularly contentious scene, his mechanic claims that the damage to his fighter was confined to a small circle in a non-critical area, implying that Bishop had landed his aircraft off-field, shot holes in it, and then flown home with claims of combat damage. In reality his mechanic was his biggest supporter in this issue and the scene was entirely fictitious. The mechanic insisted that Bishop had not fabricated the damage. After years of controversy over Bishop's record, mainly due to the fact very few of his claimed victories were witnessed by anyone else or could be confirmed from surviving German records, the show led to an inquiry by the Canadian government in 1985. The Standing Senate Committee on Social Affairs, Science and Technology discredited the documentary, saying it was an unfair and inaccurate portrayal of Bishop. 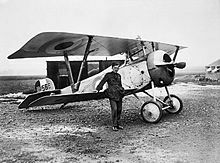 A Hero to Me: The Billy Bishop Story - WW1 Canadian flying Ace, a documentary depicting the story of "Billy" Bishop from the perspective of his granddaughter Diana, was also produced for Global Television and TVO in 2003. There is a permanent exhibit with information on Bishop at the Grey Roots Museum and Archives, just south of Owen Sound, Bishop's hometown. Since the airport in Owen Sound is officially named "Owen Sound Billy Bishop Regional Airport", the town's mayor has questioned the efforts to rename the Toronto City Centre Airport after Billy Bishop, a proposal that is under discussion by the Toronto Port Authority in September 2009. Having two airports in the province with similar names was a concern. "Billy Bishop Private" is a roadway on private land at Ottawa Airport, Ottawa, where the "Billy Bishop Room" for visiting dignitaries also exists. "Billy Bishop Way" is a street near the Downsview Airport in Toronto. "Mount Bishop (Canada)", a 2,850 metres (9,350 ft) high mountain on the Alberta - British Columbia border. "Bishop Building", the 1st Canadian Air Division and the Canadian NORAD Region Headquarters in Winnipeg. "Billy Bishop Legion Branch 176" in Vancouver. "CFB Borden Billy Bishop Centre", a hazardous materials training school. "Billy Bishop entrance" at Hamilton's Memorial School. "Billy Bishop Hangar" at the Brampton Flying Club. 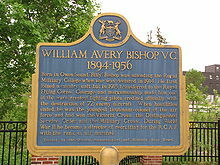 943 Air Marshall William Avery "Billy" Bishop VC, CB, DSO, & Bar, MC, DFC, ED (1894-1956) was added to the wall of honour at the Royal Military College of Canada in Kingston, Ontario in 2009. Air Force Association of Canada's Air Marshal W. A. Bishop Memorial Trophy is one of the highest awards for aviation in Canada. Both of Bishop's children became aviators. He presented his son, Arthur, with his wings during the Second World War; Arthur would go on to become a Spitfire pilot and served with No 401 Squadron RCAF in 1944. He also presented his daughter, Jackie, with a Wireless Sparks Badge as a radio operator in 1944. Picture - Billy Bishop's decorations (now part of Canadian War Museum collection) include (left to right) Victoria Cross, Distinguished Service Order with Bar, Military Cross, Distinguished Flying Cross, 1914-1915 Star, British War Medal 1914-1920. Bishop's decorations include the Victoria Cross, Distinguished Service Order & Bar, Military Cross, Distinguished Flying Cross, l�gion d'honneur and the Croix de Guerre with palm. He was made a Companion of the Order of the Bath in the King's Birthday Honours List of 1 June 1944. For most conspicuous bravery, determination, and skill. Captain Bishop, who had been sent out to work independently, flew first of all to an enemy aerodrome; finding no machines about, he flew on to another aerodrome about three miles southeast, which was at least 12 miles the other side of the line. Seven machines, some with their engines running, were on the ground. He attacked these from about fifty feet, and a mechanic, who was starting one of the engines, was seen to fall. One of the machines got off the ground, but at a height of 60 feet, Captain Bishop fired 15 rounds into it at very close range, and it crashed to the ground. A second machine got off the ground, into which he fired 30 rounds at 150 yards range, and it fell into a tree. Two more machines then rose from the aerodrome. One of these he engaged at a height of 1,000 feet, emptying the rest of his drum of ammunition. This machine crashed 300 yards from the aerodrome, after which Captain Bishop emptied a whole drum into the fourth hostile machine, and then flew back to his station. Four hostile scouts were about 1,250 feet above him for about a mile of his return journey, but they would not attack. His machine was very badly shot about by machine gun fire from the ground. A most successful and fearless fighter in the air, whose acts of outstanding bravery have already been recognised by the awards of the Victoria Cross, Distinguished Service Order, Bar to the Distinguished Service Order, and Military Cross. For the award of the Distinguished Flying Cross now conferred upon him he has rendered signally valuable services in personally destroying twenty-five enemy machines in twelve days-five of which he destroyed on the last day of his service at the front. The total number of machines destroyed by this distinguished officer is seventy-two, and his value as a moral factor to the Royal Air Force cannot be over-estimated. For conspicuous gallantry and devotion to duty. While in a single-seater he attacked three hostile machines, two of which he brought down, although in the meantime he was himself attacked by four other hostile machines. His courage and determination have set a fine example to others. For conspicuous gallantry and devotion to duty when engaging hostile aircraft. His consistent dash and great fearlessness have set a magnificent example to the pilots of his squadron. He has destroyed no less than 45 hostile machines within the past 5 months, frequently attacking enemy formations single-handed, and on all occasions displaying a fighting spirit and determination to get to close quarter with his opponents which have earned the admiration of all in contact with him. Baker, David. William Avery "Billy" Bishop: The Man and the Aircraft He Flew. London: The Outline Press, 1990. ISBN 1-871547-07-5. Barker, Ralph. The Royal Flying Corps in World War I. London: Constable and Robinson, 2002. ISBN 1-84119-470-0. Bashow, Lieutenant-Colonel David. "The Incomparable Billy Bishop: The Man and the Myths." Canadian Military Journal, Volume 3, Issue 4, Autumn 2002, pp. 55-60. Retrieved: 1 September 2008. Bishop, William Avery. 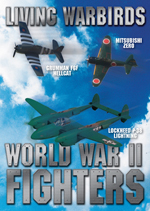 Winged Warfare London: Cr�cy Publishing, 2007 (originally published in 1918). ISBN 0-947554-90-4. Buzzell, Nora. The Register of the Victoria Cross Third Edition. Cheltenham, Gloucestershire, UK: This England, 1997. ISBN 0-906324-27-0. Greenhous, Brereton. The Making of Billy Bishop. Toronto: Dundurn Press, 2002. ISBN 1-55002-390-X. Greenhous, Brereton. "Billy Bishop - Brave Flyer, Bold Liar." Canadian Military Journal Volume 3, Issue 3, Autumn 2002, pp. 61-64. Retrieved: 15 November 2009. Harvey, David. Monuments to Courage. Uckfield, UK: Naval & Military Press Ltd., 1999. ISBN 1-84342-356-1. McCaffrey, Dan. Billy Bishop: Canadian Hero. Toronto: James Lorimer & Company Publishers, 1988. ISBN 1-555028-095-3. Shores, Norman, L.R. Franks and Russell Guest. Above the Trenches: A Complete Record of the Fighter Aces and the Units of the British Empire Air Forces 1915 -1920. London: Grub Street, 1991. 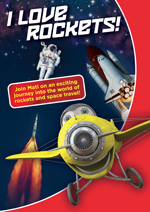 ISBN 0-948817-19-4. Urwin, Gregory J.W. "The Man Without Fear: The Combat story of Lieutenant Colonel William Avery Bishop." Air Classics, Vol. 15, No. 9, September 1979.